Israeli Prime minister Benyamin Netanyahu and other government officials are to be arrested if they ever show up in Spain. Former PM and minister of Army, Ehud Barak, current minister of army Avigdor Lieberman, former minister of strategic affairs Moshe Yaalon, former interior minister Eli Yishai, israel geologist and politician Benny Begin and vice admiral Maron Eliezer, were also named in the list of arrest. Reportedly, Spanish national court judge Jose de la Mata ordered the Spanish police to alert him if Netanyahu or any of the other government officials come to Spain. This is after Israeli forces attacked Gaza Freedom Flotilla in 2010 which is affiliated to a humanitarian solidarity movement that stands in solidarity with Gaza against human rights violations. A fleet of six ships were attempting to break an Israeli siege of the Gaza Strip. The six ships were carrying around 500 passengers, humanitarian aid and construction materials. Israeli Forces raided the ship leaving nine human rights activists dead and another activist died later the same due to being wounded in the attack. 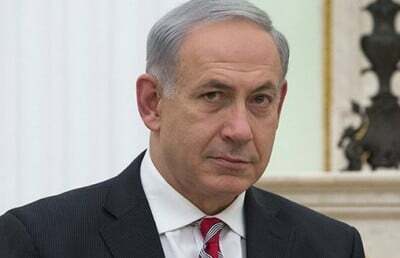 After the case was put on hold by Jose de la Mata in 2010 it is now reopened Prime Minister Netanyahu and other officials now face charges.